It's already 8th of December....like how the hell already? Anyway,while outside nothing's showing us thatit might be Christmas in two weeks,we can make the Christmas feeling by ourselfs. And I think the easiet way how to make yourself all jolly holly is to watch the most Christmasy movies you can imagine. 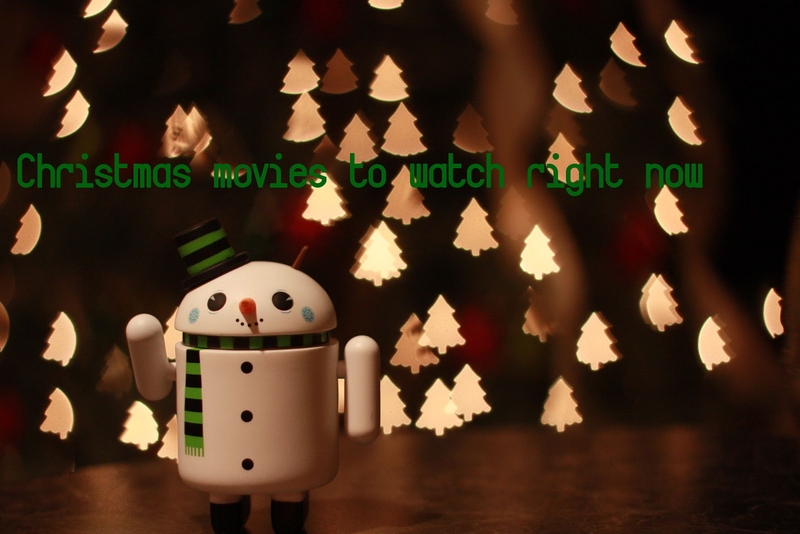 To make it easier for you I made a post about some of movies that you can't imagine your Christmas without....maybe you won't agree with my list, but at least there will be maybe new movies for you to discover. Love actually - Absolute classic.Probably there's not a person who haven't seen it. I'm not sure what is it but there's something about this movie that makes you want to watch it again and again. So yes,this is one of the movies I try to watch every year no matter what. Home alone and Home alone 2 - The only two parts of Home alone I can watch.This is truly the classic, even when I wasa lil lil girl we watched it and Iwas thinking thanks god noone leave me home alone. Elf - I watched Elf for the very first time this year and I kind of liked it and kind of not.But there's just too many Christmasrelated gifts with Buddy that I just had to watch it. Even if at some moments I was thinking- damn thats so me. Holidays - This ones another favie from me. Probably too cheesey for others, but isn't Christmas like that? Well sure it is haha and that's why I really love this movie. The Cristmas Carol - The one with JimCarey in it. I remember I first watched it when I was in high school and it was one of the last English lessons before Christmas and I liked it so freaking much that I watched it two more times at home that year. Christmas in Boston - Ahhhh words can't decribe how much I adore this movie. It's perfect. Definitely go watch it right now. Christmas magic - A little fairtale for the grown ups. Why not ? Watched it on TV last yearand I plan to watch it also this year. How the Grinch stole Christmas - This one doesn't ask for decription just go and watch it imediatelly. The family stone - This one's always on Tv on Christmas and I always cry when watching this. Truly heart taking movie. So it's something like this. Movies I have watched at least 3 times. Do you know any good Christmas movie I did not mention here? Write it in comments.